Neonatal hypoglycemia is a common disorder and in fact an emergency in neonates considering the devastating ill effects of hypoglycemia on neurological outcomes ranging from severe neurological dissability like seizure to social morbidity of scholastic backwardness. Even a single episode of asymptomatic hypoglycemia which might have been unnoticed may put the neoante at risk for developing long term neuro- developmental sequelae and hence should be urgently treated. In a series of 151 infants with neonatal hypoglycemia followed for 1-4 years the occurrence of seizures as part of the neonatal neurological syndrome was associated with a clearly abnormal outcome in 50% and with transient neurological abnormalities an additional 12%. Koivisto M, Dev Med Child Neurol. 1972; 14(5): 603-614. A recent Indian study by Udani and co-workers has concluded that neonatal hypoglycemia is the most common etiology of remote symptomatic infantile onset epilepsy. During residency rotation in Neonatal ICU,s or Nurseries, one should know how to suspect neonatal hypoglycemia by identifying high risk babies, identify the possible symptoms in those symptomatic babies, and know by heart how, at what threshold should we treat them, for how long, and what all work up do we need to send to arrive to the diagnosis of hypoglycemia. Neonatal hypoglycemia is amongst the most common dissorder encountered in NICU,s and therefore a detailed reading is recommended, besides its a high yield question in theory exam. 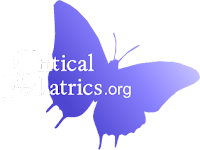 Follow these links given in post where you can directly hit and download the study material for Neonatal hypoglycemia. Detailing every aspect of neonatal hypoglycemia, Here is Queensland Maternity and Neonatal Clinical Guideline on Newborn hypoglycaemia. Detailed charts on prevention and detection, management, hypoglycaemic screen and other investigations along with their interpretation. Pharmacological interventions for resistant and persistent hypoglycemia given in detail along with doses of drugs and finally discharge and follow up. Highly recommended for indepth read. As we already know what ml per kg per day fluid is going to the baby, so this makes it simpler. (Interconversion of glucose infusion units. from Klaus MH, Fanaroff. AA, eds: Care of the High-Risk Neonate. 2nd edition. Philadelphia:WB Saunders, 1979:, 430. After deciding what dextrose % you need in fluid, to target your DIR, you can use following simple formula to achieve that % dextrose by mixing two fluid of different dextrose concentration. You can use following link to calculate GIR but "practising" will always be better for learning than shortcuts. The best thing is we can calculate the GIR of IVF along with Breast milk or Top milk, all together.